Times are changing in Detroit. According to the team’s official Twitter account, the Detroit Red Wings have inked restricted free agent Dylan Larkin to a five-year contract. The contract will pay him $6,100,000 annually and it will take him to unrestricted free agency on July 1, 2023. Larkin scored 23 goals and 45 points in 80 games in his rookie season in 2014-15, helping the Wings to their most recent playoff berth. He suffered a sophomore slump in the following season, scoring just 32 points in 82 games. In 2017-18, he enjoyed a rebound season, scoring 16 goals and a career-high 63 points. Larkin’s new deal will give him the biggest cap hit on the Red Wings. The next highest cap hit is owned by Henrik Zetterberg, who might not return to the team next season. 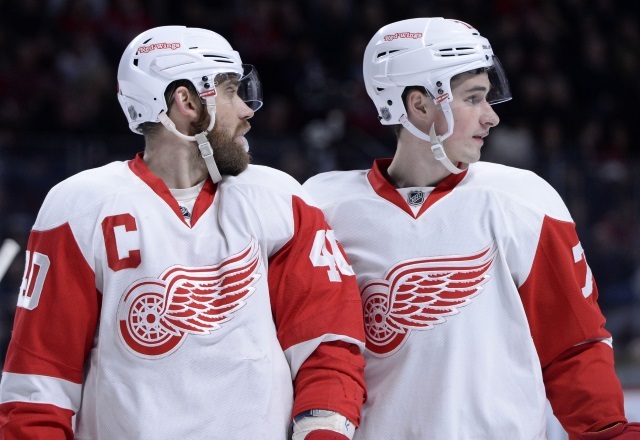 According to Craig Custance, general manager Ken Holland isn’t sure if forward Zetterberg will play next season. Zetterberg will be 38-years-old at the beginning of the season is dealing with nagging injuries and might not be healthy enough to play. An interesting note about Zetterberg’s deal is that his actual salary is set to take a massive dip this year. He’ll cost the Wings $6,083,333 against the cap for three more years, but he’s set to make $3,350,000 in 2018-19 and $1,000,000 in both 2019-20 and 2020-21. Zetterberg going on the Long-Term Injured Reserve would give Detroit some much-needed salary cap relief as Larkin’s new deal has pushed them slightly over the cap ceiling.